If you have Afib (Atrial Fibrillation) or any type of cardiac arrhythmia and need life insurance, some arrhythmia can be harmless and have very little impact on your life insurance rate. Other types of arrhythmia can be dangerous and even life threatening and could cause you to pay more or even be declined for life insurance. But every life insurance company will look at each case on an individual basis and no two cases are alike. We regularly shop Afib and other cardiac arrhythmia life insurance cases to all insurance companies and we are up to the task to find you the best rate possible. Below we describe the different cardiac arrhythmia and the life insurance rates you can expect to pay for each. 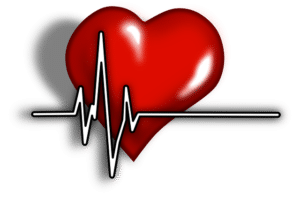 Our system makes it easy to get cardiac arrhythmia life insurance quotes from hundred’s of different insurance companies and to easily narrow down best rates and companies for you based on your specific arrhythmia and overall health otherwise. Once we have your medical information, we can easily place you with ANY life insurance company and we won’t stop until we get you the best offer! Also know as AFib or AF. Related terms are supraventricular arrhythmia, paroxysmal atrial fibrillation and paroxysmal atrial flutter. Like most arrhythmia, if you were recently diagnosed with no further investigation, you’ll be postponed for life insurance until fully investigated. If you have paroxysmal atrial fib which comes and goes and you have 4 episodes or less per year, you may be able to qualify for Preferred or Regular rates with some insurance companies. For ongoing or chronic atrial fib, qualifying for Regular life insurance rates may be possible on permanent insurance, but most term companies may table rate you 50% to 100% in addition to their Regular rates. Click here for an explanation on table ratings. Popular treatments for chronic atrial fibrillation include radio frequency ablation and the maze procedure. About 12 months after successful treatment, Regular rates or slightly better are probable on term or permanent life insurance. You can possibly get a reduction in your rating or cost if your overall health is good otherwise, your A-fib has been stable for a period of years, you’ve had a normal echocardiogram or if you’ve had stable use of a blood thinning medication. Regular and even Preferred rates are also possible for SVT and PSVT, but your overall health and underlying cardiac issues will be a factor. Popular treatments for SVT include radiofrequency ablation or drug therapy. About 6 months after successful treatment you could be insurable. Also known as PAC’s. Related terms are atrial supraventricular ectopic beats (AEB), atrial supraventricular extrasystole, atrial supraventricular premature beat, atrial supraventricular premature contraction (APC) or junctional premature systoles (JPSs, PJCs). These are usually benign, so Preferred and Regular rates may be available depending on your overall health and/or other cardiac issues. Treatment is rarely prescribed for PAC’s. Also known as PVC’s. Related terms are premature ventricular complexes, ventricular ectopic beats (VEB), ventricular ectopic activity (VEA), ventricular extrasystole (VE), ventricular premature beats (VPB) and ventricular premature contractions (VPC). If you have less than 10 PVC’s per minute, Regular and possibly Preferred rates may be possible. If you have 10 to 20 PVC’s per minute, Regular rates to a 50% rating may be possible. Above 20 PVC’s per minute can result in a 50% to 100% or higher rating. No treatment is usually required for PVC’s unless there is other cardiac disease involved. Having a good stress EKG can help us to get your rate reduced. You will usually be postponed and not eligible for coverage if less than 2 years since episode. After 2 years, you may be insurable at a high rating like 200% in addition to Regular rates. Treatment can include intravenous anti-arrhythmic infusion, DC cardioversion, pacemaker, pacemaker with implantable cardiac defibrillator or radiofrequency ablation. If you have an implantable cardiac defibrillator (ICD), obtaining life insurance can be very problematic, but we have recently had success for a gentleman who had an ICD but really was in excellent health otherwise and the ICD never “fired”. If your health is very good otherwise, this ailment needs to be shopped thoroughly to all carriers. Related terms are bradycardia-tachycardia syndrome, bradytachy syndrome, sinus node disease and tachycardia-bradycardia syndrome. If treatment is required, a pacemaker will usually be installed. 3 months after pacemaker is installed, the ratings for people under age 60 could be decreased by 25% to 50% compared to ratings above. Sick sinus syndrome needs to be shopped thoroughly to all carriers as exceptions have been made on otherwise good cases. Regular rates or better are possible with this ailment as long as your pulse rate is 40 or greater. Pulse less than 40 can be an issue for life insurance underwriting purposes and may require some negotiation on our part. If heart rate is too low, the treatment can be a pacemaker and then a rating of 50% to 100% in addition to Regular rates would be likely. Regular rates or better are possible with this ailment as long as your pulse is generally under about 100 beats per minute. Pulse greater than about 110 beats per minute may qualify for Regular rate or 50% rating in addition to Regular rate. Pulse greater than about 120 beats per minute will generally be rated at 50% or possibly higher. Treatment is usually beta-blocker or calcium channel blocker medication. In rare cases, radiofrequency or surgical ablation can be required. VF can be one of the toughest arrhythmias to insure as it is usually caused by coronary artery disease or cardiomyopathy. Almost everyone with VF will be declined for most life insurance products. In rare cases that may be insurable, this ailment will likely result in a 200% to 250% or higher rating in addition to the Regular life insurance rates. Treatment is usually defibrillation by electric shock and/or an implantable cardiac defibrillator. So How Do You Get Best Offer Possible? First thing you need to know is that not every agent, website or insurance broker is capable of or even interested in getting you the best rate. Most other agencies only offer a limited number of insurance companies and may never do many cases for people with cardiac arrhythmia, so they may not even have a clue on how to get you best offer. It takes time and work on our part to do what we do on a daily basis, but we have it down to a science. It is always our goal to get you the best rate and policy possible, not to just get you ANY rate and then move on to next case. We will pressure the underwriter to offer you credits for an even better offer than the norm if your overall health is very good otherwise and you’ve had the recommended follow up by your doctor. We’ve learned by experience that the underwriters will never improve on an offer unless we provide some pressure. We have a perfect system and we’ll do everything in our power to get you the best offer possible. Do you have any associated symptoms (i.e. palpitations, dizziness, loss of consciousness, fatigue, chest pain, etc)? Is there underlying heart disease causing the abnormality (i.e. valve disorder, coronary artery disease, cardiomyopathy, congestive heart failure)? Type of treatment (drugs, cardioversion, pacemaker, ablation, implantable cardiac defibrillator)? Is your overall health good otherwise? For the most common irregular heart beats, if you’re symptom free, with no dizziness, chest pain, fatigue or other issues related to the arrhythmia and you have no underlying cardiac issues, then your prognosis is good for getting affordable life insurance and possibly even a Preferred rate. If you do have symptoms or underlying cardiac issues, then the rates could be higher than the Regular rates in our quoting tool above. It’s impossible for any insurance agent or insurance website to tell you with 100% certainty the rate for which you’ll ultimately qualify. Having shopped thousand’s and thousand’s of tough cardiac cases, we can tell you with 100% certainty that we will ultimately get you the best offer. If you have any type of cardiac arrhythmia and you’d like us to shop with every competitive life insurance company to get you best offer possible, give us a call at toll free # above or just click here to send us an email to or simply click link below, complete form and we’ll do everything we can to get you the best offer possible from a quality insurer!